The term “strength training” has gotten watered-down over the years. It’s not surprising, really, since fitness is more popular than ever. That means there are loads of trainers, coaches, and regular folks posting articles and videos that demonstrate their own version of “strength training.” Yes, lifting soup cans can build strength, but probably not the kind you’re looking for. In this post I’ll outline the strategy I’ve found most effective for boosting maximal strength in a compound lift such as a deadlift or squat. 1. Get the Frequency Right: Let’s say you’re trying to boost your max strength for the deadlift. The rule for the deadlift or any other compound exercise that works hundreds of muscle groups at once is that you shouldn’t perform more than two heavy workouts per week for the lift. People sometimes assume that my discussions on high frequency training (HFT), a system where you train a muscle group more than four times per week, can apply to maximal strength training. It can’t, especially when you’re talking about such a demanding exercise as the deadlift or back squat. Solution: Perform each movement twice per week, evenly spaced (Mon/Thur, Tues/Fri, etc). 2. Get the Volume Right: Of all the maximal strength building parameters I’ve followed over the last 17 years, three sets of three reps with the heaviest load you can handle is tough to beat. Just to be clear, I’m talking about three work sets. It’s always beneficial to warm up with 2-3 sets of 2-3 reps with progressively heavier loads before you start the 3×3 workout. You can perform more warm-up sets, but keep the reps low. Try to add weight each workout, even if it’s just five pounds and even if it’s just for one set. Small loading additions make a big difference over time. Solution: You can’t go wrong with 3×3 with the heaviest loads you can handle. Try to add load each workout until you stagnate, then switch exercises. I rarely do straight sets, regardless of the goal of the workout. I’ll either alternate between two different exercises (an upper or lower exercise in this case), or I’ll use antagonist pairings for upper body work such as a chest press and row. So do a heavy set of the deadlift or squat, rest one minute, then do an upper body pushing exercise such as a dip, chest press, or shoulder press. Rest another minute and perform your second set of the squat or deadlift. Continue for three rounds. If you find you can maintain or boost your strength in subsequent sets when you get even more rest, organize your workouts in circuit so you’re doing three or more exercises. This allows you more rest before you repeat an exercise, while still maintaining a productive one-minute rest between exercises. Research shows that sitting around for three minutes (passive rest) isn’t any more beneficial for boosting maximal strength than working other exercises during those three minutes. Solution: Rest no more than a minute between exercises to keep your workout efficient, but feel free to add more exercises into the circuit if you need more rest before repeating a specific exercise. 4. Get the Exercise Right (but not for long): Let’s say you’re trying to boost your maximal strength for the front squat. You basically have one month before you need to switch the movement with something similar. For example, you could perform a front squat with a narrow stance and a barbell resting across your upper chest (Olympic style) for one month, then widen your stance for the next month, or hold kettlebells against your chest instead of a barbell, or switch to another style of squat altogether. The key point is that the changes don’t have to be major each month. Simply widening or narrowing your stance or changing your hand position (upper body lifts) or switching from a barbell to dumbbells, or vice versa, is enough to keep the nervous system challenged. Solution: Change some aspect of your movement pattern every month. 5. Get Your Core Right By Making it Tight: Lifting maximal loads requires full body tension. That tension is supported by your core, lats, and glutes. So when these muscles are weak, or when they don’t fire correctly, the nervous system reduces neural output to the working muscles as a protective mechanism. That’s one theory. The other theory is that force is transferred through your core in any free standing lift and when your core can’t develop maximum tension, the transfer of force is diminished. Therefore, you get strength or energy “leaks” as Dr. McGill likes to call it. Put simply, boosting core activation will increase the load you can lift with any exercise. Start your workout with exercises that challenge core stability. Solution: Activate your core with exercises such as the ones I covered in my recent T-nation article HERE before you perform a squat, deadlift, or any compound exercise. Speaking of core training, Dr. Craig Liebenson has taught me more about it in the last year than I’ve learned in the 10 years prior to it. He’s one of the best in the world for developing the core and surrounding muscles. If you’re a trainer, therapist, or just an avid exercise buff I encourage you to study his materials. 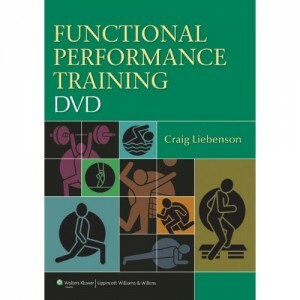 Dr. Liebenson’s Functional Performance Training DVD is now available for pre-orders. I can’t recommend the DVD enough. You can check it out by clicking here. Finally, the Waterbury Challenge ends this Friday, July 1. Here’s what you need to do to qualify for the $500 prize. 1. Post a video of yourself doing 182 reps of the pull-up, push-up, and lunge (182 reps with each leg). 4. Whoever has the fastest time to completion gets $500 dropped in his/her Paypal account that weekend. And remember, you have to be on my newsletter list to qualify. How about the rep rate? I read your book Huge in a Hurry and it says you should perform the exercise rep as fast (but safely) as possible. The question I have is does this pertain to the explosive part of the movement; for example, if I am doing push ups, do i perform the “downward motion” slowly ( ie 2-3 seconds) and then the push up part as fast as possible or is the whole motion as fast as possible? CW: Yes, the “as fast as possible” recommendation is for the lifting phase (the phase where your muscles are shortening). The lowering phase should be under control at first, but over time it’s good to increase the lowering speed too. Hi Chad, quick question for you…. Would it be better for somebody who is relatively weak (squatting less than body weight) to alter movement patterns regularly or to just focus on getting stronger on certain lifts over 3×3? I’m thinking back squats, deadlifts, overhead press etc. I’m wondering because programmes such as ‘starting strength’ have the trainee repeat the same movements for as long as possible. Do you actually use linear progression with clients or do you mainly stick with total reps still? CW: If you’re very weak, it’s good to stick with a specific movement for a few months so your nervous system can build on the proper movement pattern. This is why perfect technique is crucial. I use many different progression methods: adding reps, adding load, reducing rest, etc. The total reps method works well for hypertrophy. Real nice post. Good to see that I am not the only one with the low reps focus! Chad-how would you increase the weight? maybe using a wave method 2x’s up one back? CW: Good question. Try to add weight every workout, even if it’s just 5 pounds. That shouldn’t be a problem with a squat or deadlift. Hey chad, thats a nice post you got there, i may also try out that challenge, looks hard but probably worth it! Anyways i got a question. Well quite a few questions if you dont mind. First of all, i found that after a while, doing alot of heavy workouts lead to joint pains and just general tieredness. I also find that i can lift more when i rest for 2 mintues compared to 1. Isnt it good to always change to a light workout to relieve your joints? Also i usually feel rather sick, and i feel my performance slightly decreased when i do supersets with antagonist workouts, or even with lower body. I mean you have to admit, squats and deadlifts are taxing enough and you are usually breathing hard, but then to go and do say barbell rows right after or pullups, theres not much strength left is there? So wouldnt it be easier to jack up strength if you just did one set with no supersetting? Or is this just me :D.
CW: Yes, changing intensities is good for the joints. Also, you need to reduce inflammation throughout your body when you have joint pain. Curcumin helps a lot. I also like Res-v by Biotest. And of course plenty of fruits and veggies with fish oil is a must. You’re right, doing heavy deads followed by pull-ups is tough. That’s why I recommend an upper body pushing exercise as mentioned. I haven’t seen any benefit in leaving out an upper body push between sets of the deadlift. I am following the Get Strong routine in HIAH for the second time and have just read your article on 3×3 for strength. How does it compare with the Get Strong routine? Pros and cons? CW: Get Strong is the way to go since it’s more complete. After all, I had an entire book to explain everything. hi chad, it’s been a while lol, really good post. you said before in a statement that you like to do three full body workouts each week that cycle between 10×3, 4×6, and 3×12 for different lifts in each workout, i just want to know how to progress in such programme? i mean by adding reps, adding load or reducing rest, and how? i think 07/01 is your birthday, so happy birthday and i wish you all the happiness and success. CW: That’s just one of many ways I approach training for size and strength. To progress, you can use any of the progressions you mentioned. For heavier workouts it’s better to focus on adding load. For higher rep stuff, adding reps works well. Thank for this great article, Chad! I have two questions: 1) If you’re doing three full body workouts a week, I suppose the single leg squat and deadlift on Wednsesday could be done along with heavy squats and deadlifts on Monday and Friday, right? 2) In the article See Chad Train, I saw in the “long on time” paragraph that you can perform both a squat and a deadlift variation in the same workout. Could that be too much for most intermedaite trainees? I have often read that deadlifts, in particular, should be done only once a week. CW: 1) Correct. 2) Keep the squats and deadlifts separate because there’s less to go wrong. Nice articles on training Chad. You probably have covered it, here’s the question. I wonder if the speed and power equation changes on a bowflex machine. I have one in the basement with 410 “lbs” capacity. Its interesting in that peak contraction patterns are different in the angles involved vs. free weights. One noticable factor mentally is the different feeling from the eccentric component of free weights vs. the bowflex. The eccentric component seems much less with the bowflex and as a result seems to be more fatiguing. What role does the eccentric movement in a squat have in generating more “energy”(real or perceived) in the motor unit/neurons during a squat? Any? The bowflex doesnt seem to help with growth due to the less eccentric component(if any) vs. the free weights, yet it is highly valuable if the trainee lives a life where job/family/traffic/annoyances are commonplace resulting in feelings of fits of rage before training, in which case it is highly therapeutic. I mostly use the bowflex for the upper body functions, and use the olympic barbell for cleans/front squats/barbell rows(up to 165 lbs). CW: If you like the machine, stick with it. You’re right, the muscle gains won’t be as fast when there’s less eccentric, but it does allow you to train more often. My advice is to work on building up your frequency of training. That will make up for the lack of eccentric. Hi Chad, this article is really educational. I’d love to try some of your recommendations, such as changing the implements, in my programme – 5/3/1. My question would pertain to the core exercises. As I only can train twice per week (the rest of the week revolves around my job in the army and my mma practice), I’ve chosen minimal assistance. I do the deadlift and military press on monday and the front squat (preceded by moderately heavy hang cleans) on thursdays. How should I superset the main exercises? For example, should I do sets of 10 plyometric push-ups after each set of deadlifts and rest just a minute between exercises? CW: Yes, that’s a good plan. Hi Chad. Thank you very much for all the great info. I would like to know: is it OK to deadlift 2-3 times a week? CW: Yes, but you’ll need to cycle your loads (intensity). Only work up to a max load on the days you feel strong. For the other days, keep the load a little lighter. Thank you very much, Chad, that’s invaluable information. Deadlifts are my best lift, and I enjoy all the variations, so I’ll start doing them more often (I only did them once a week up to this point, because of the many warnings I had read) with your caveat in mind. Keep up the good work, here, on T-nation, etc…! Chad – Nice to see that you have your own site. I read a clinical study where a large group of euro army soldiers were gene tested and broken into three groups. The soldiers performed a variety of rep range bench press and squat. The “skinny” gene group (I believe it was ACE gene) performed much better in the 10 – 15 rep range and made virtually no gains when subjected to only 3-6 rep ranges. The other two gene groups made progress in all rep ranges. I am naturally skinny and have found thru trial and error that I also respond much better to the 8 – 15 rep range and will plateau quickly in the 3 rep range, even when doing higher reps in the same cycle. How does this square with your experience on multiple sets of 3 rep training? CW: Good point, not everyone can or should do the same rep schemes all the time. However, I’ve found that skinny guys will grow with low reps but they need more volume (ie, 10 sets instead of 6). Great article, Chad! I am training for Army Special Forces and have been running, ruck marching, doing pushups/situps/pullups; which leaves me one day a week for weight training. I have been using your TNation article that recommends (for maximal strength) a sequence of pallof-hold, deadlift, then bodyweight glute hamstring. Is this enough? Should I replace some of my other workouts for weight training? CW: Add the row and an overhead press.